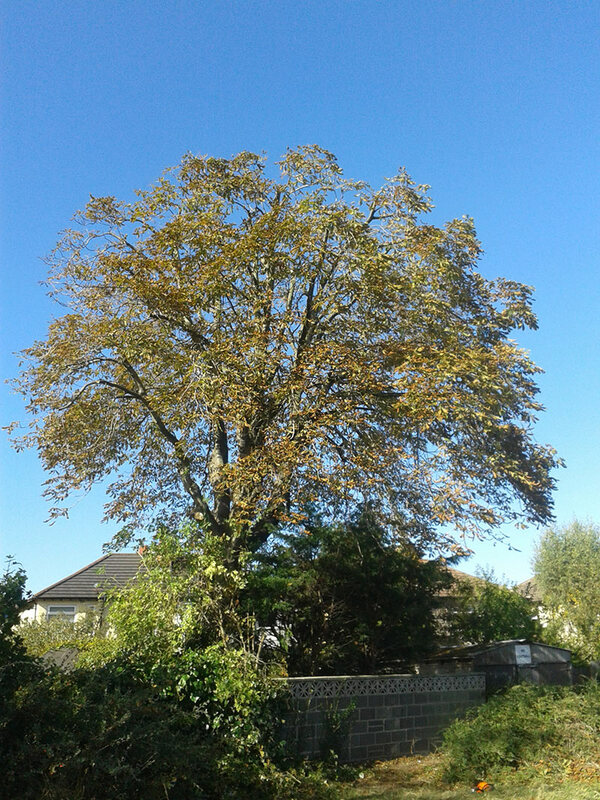 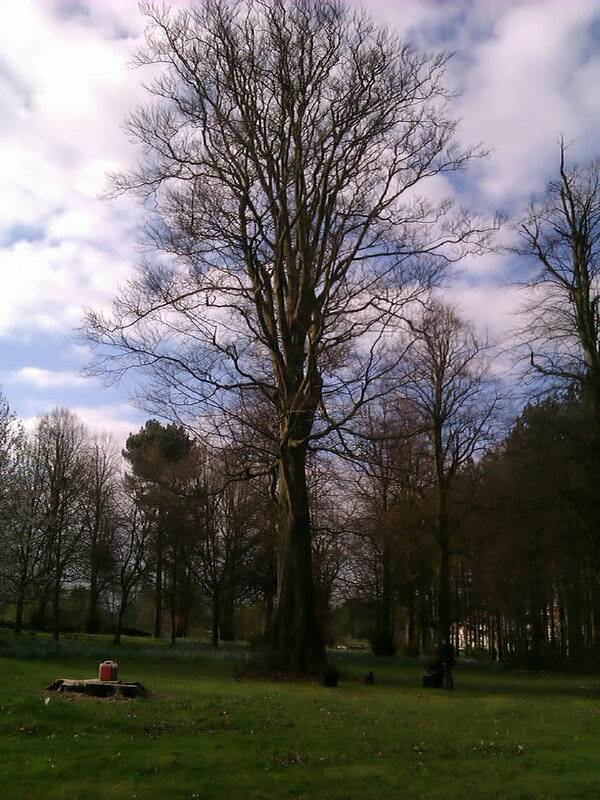 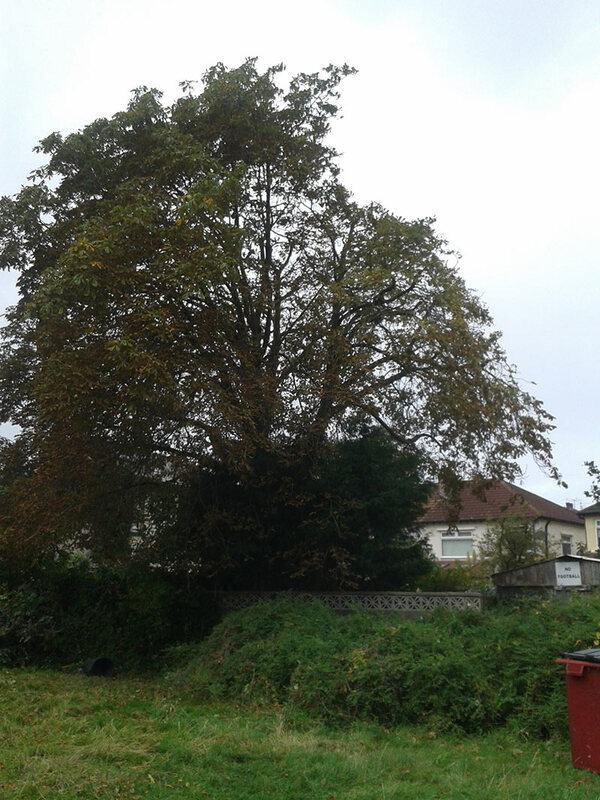 Crown raise and crown clean (removal of dead, dying, diseased and damaged branches) of the ‘Waterloo Tree’. 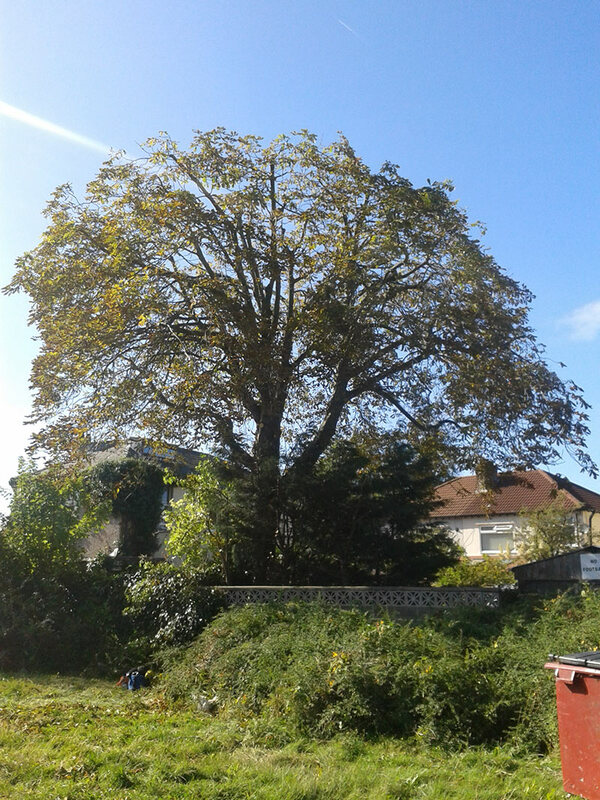 A historical tree with a Tree Preservation Order on it. 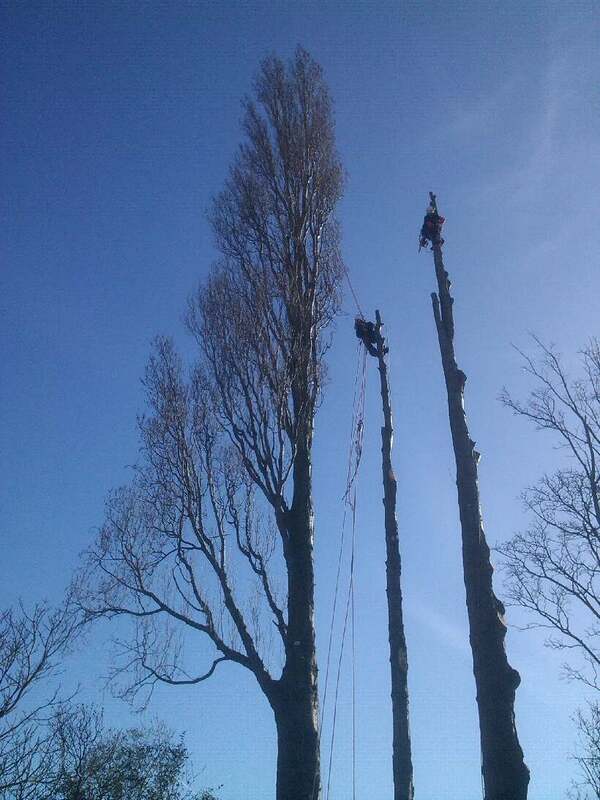 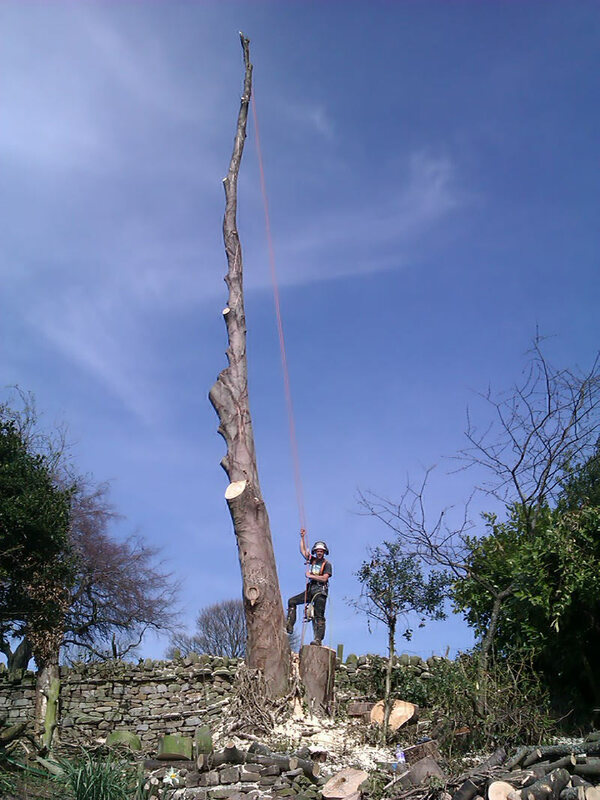 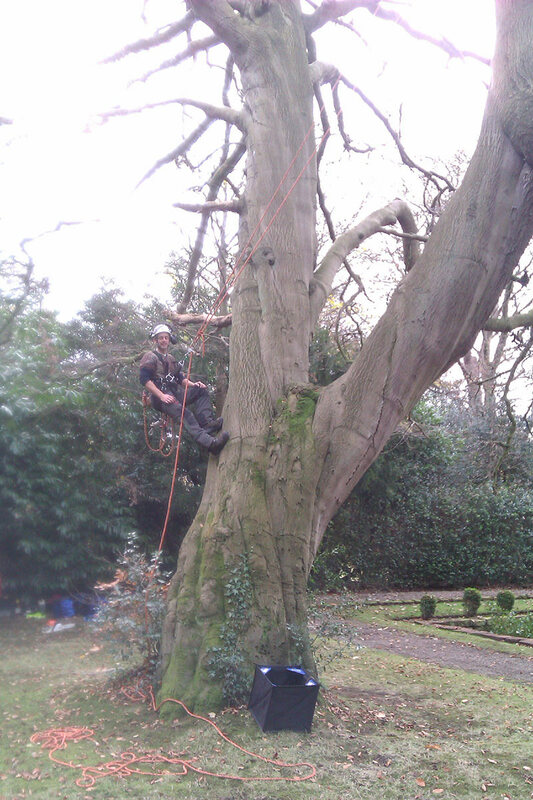 All larger branches were carefully lowered down to avoid damaging the old garden walls. 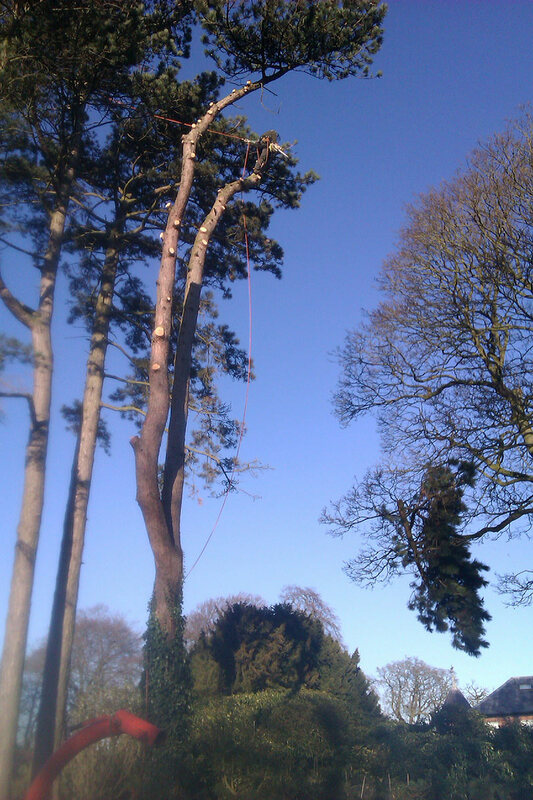 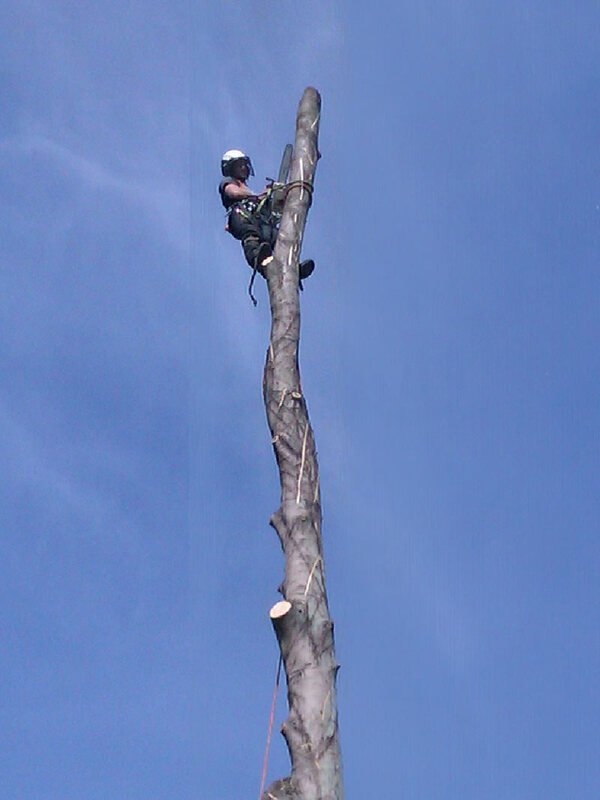 Section-felling a mature pine tree which was the end tree of a row of mature pines. 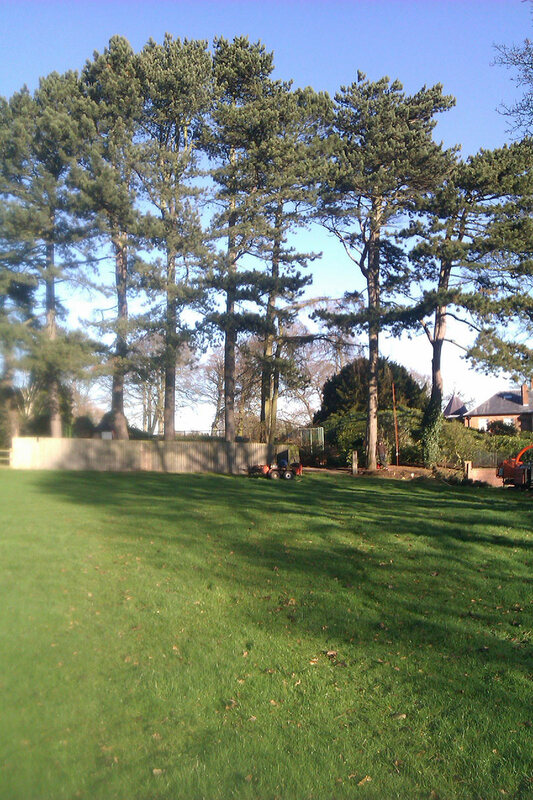 Another was straight felled and the rest of the row were crown raised to allow more light onto an adjacent tennis court. 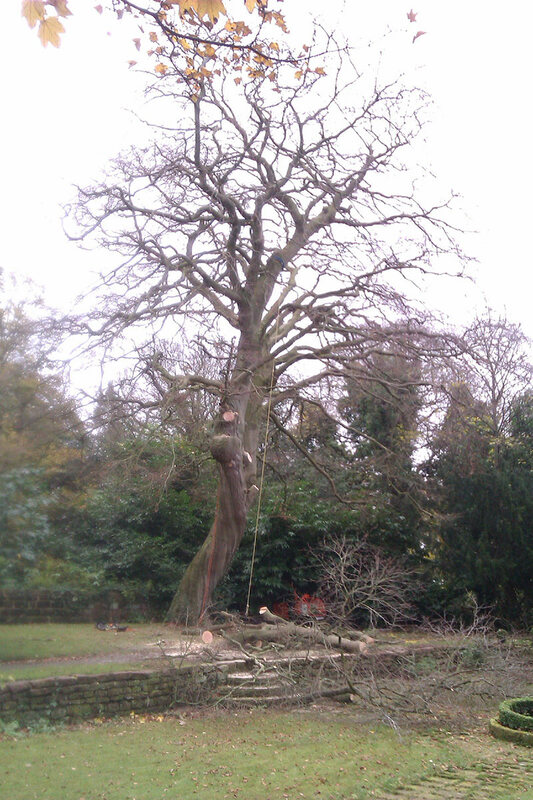 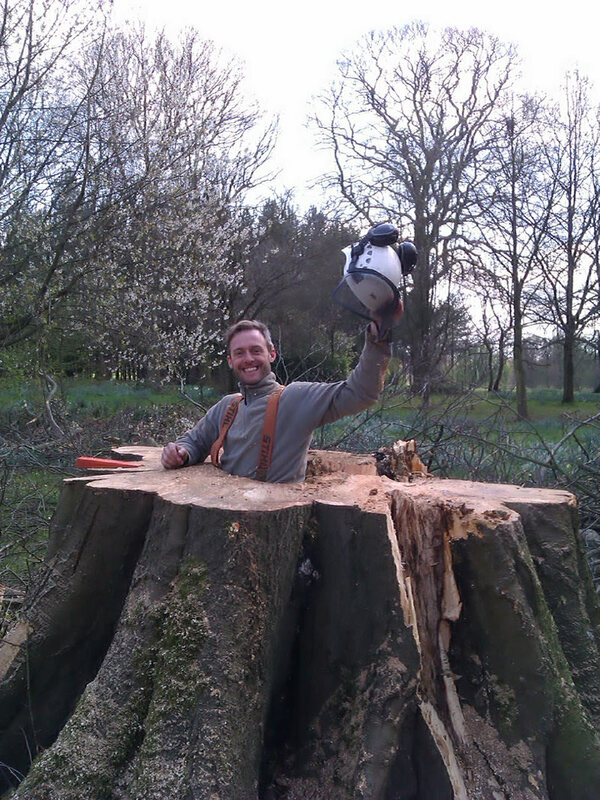 Section-fell of a large mature sycamore. 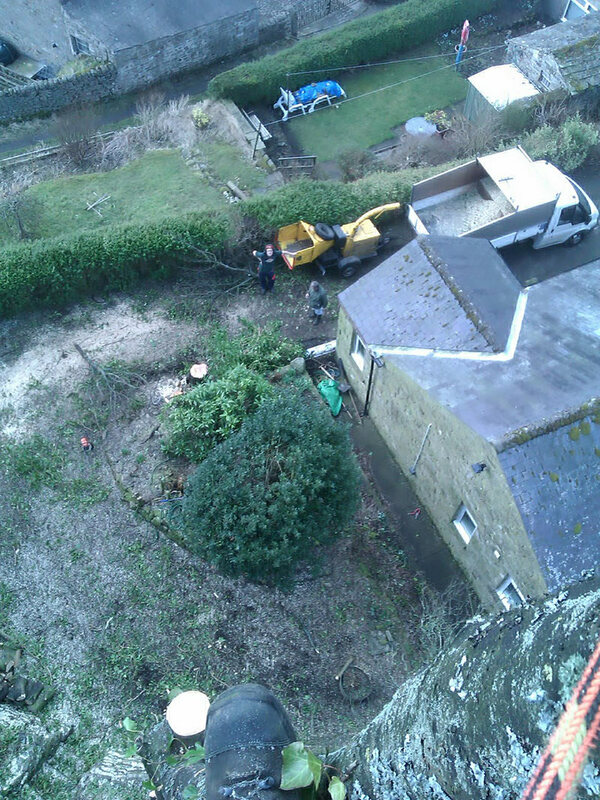 Much of the crown had to be rigged down as it was over the bungalow and a delicate dry-stone-wall. 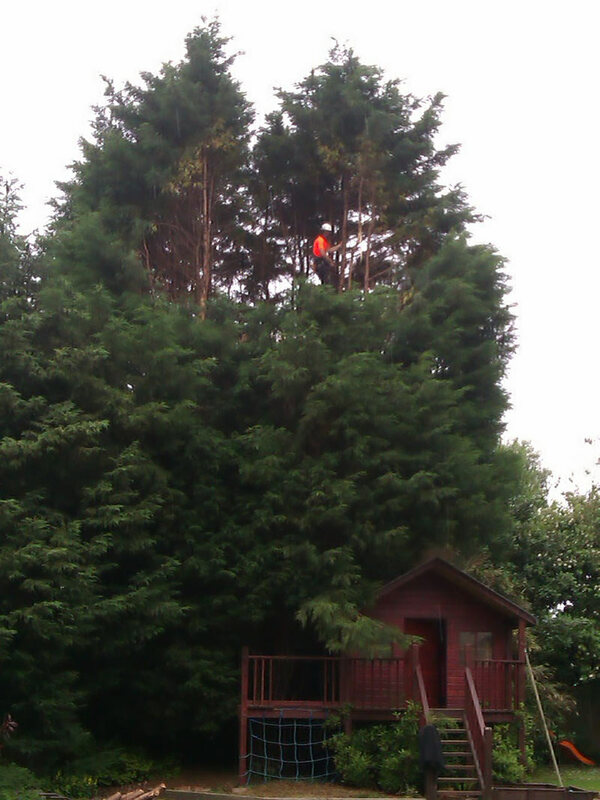 50% height reduction of a very large leylandii. 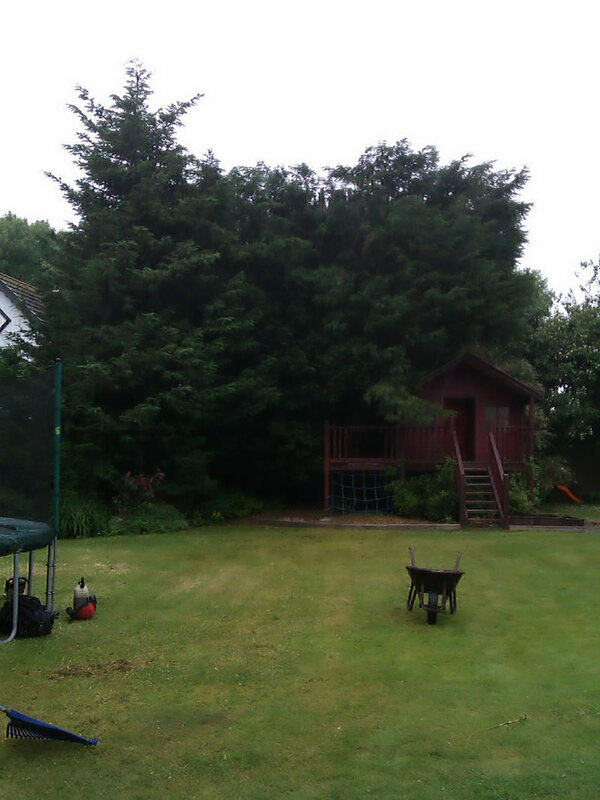 Probably to broadest single leylandii we’ve done! 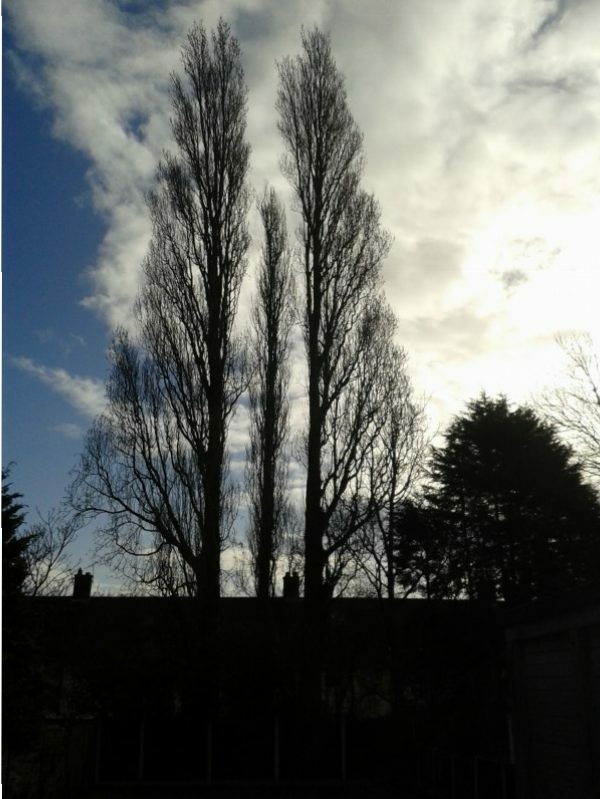 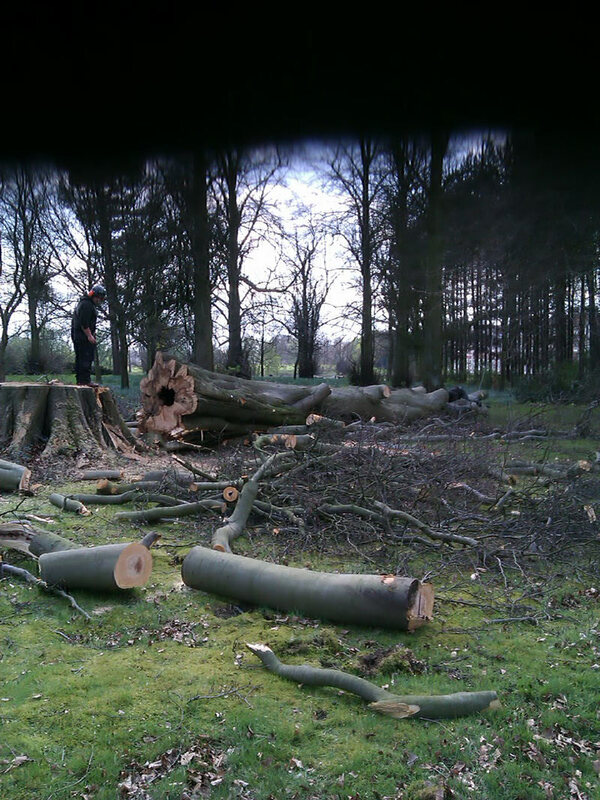 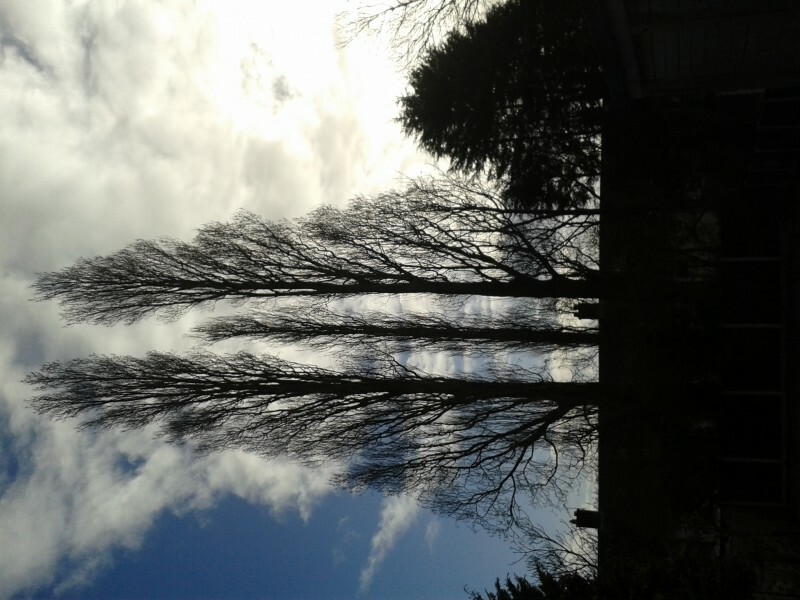 Section-fell of 2 very large and 1 medium Lombardy Poplars.